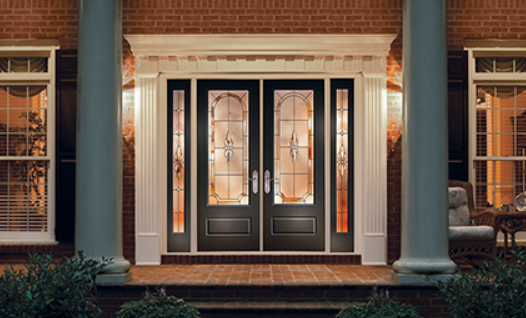 Home, Door and Window Products have been selling steel doors to the Metro Detroit Area for over 30 years. Home and Door is the best choice if you are looking to purchase a new steel entry door. Our steel front doors are extremely durable and will add value and beauty to your home or office. Home and Door also carries Therma-Tru brand steel doors that are the most durable and weather resistant doors available. Home and Door provides service to both residential homes and commercial businesses. We have an extensive inventory or Therma-Tru brand steel doors, and our dedicated team has the experienced to get the job done to your liking. Walled Lake is a city of Oakland County in the state of Michigan. The population in Walled Lake is 6,999, and the majority of the resident’s shop at Home and Door. Our Walled Lake customers can expect excellent service from our professional sales team. Home and Door’s outstanding sales associates offer outstanding service to our customers in Walled Lake. Home and Door’s skilled craftsmen are experts at helping you pick out the perfect steel entry door or steel exterior door for your Walled Lake home. Home and Door is the best choice if you are looking to purchase a new steel door. Our Home and Door specialists are extremely knowledgeable with steel doors and the latest technology, so you will be guaranteed to receive the greatest product available. Our custom designed steel doors will improve the appearance of your home or business. Home and Door has a large variety of Therma-Tru steel doors on display at our gorgeous showroom in Berkley. For more information on the best steel doors in the area contact Home, Door and Window Products at (248) 399-9900 today!